St George Catholic College has been graded Outstanding in all areas by the local authority following its inspection on Wednesday 22nd November 2017. “This is a very well led school with a strong record of improvement over several years. It is now performing at a very high level in all aspects of its work”. “Pupils therefore attained, on average nearly half a grade more in each GCSE than their peers nationaly. 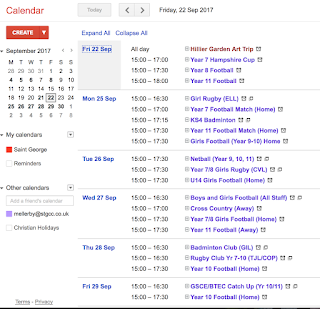 Parents and pupils can now view our after school PE activities online. 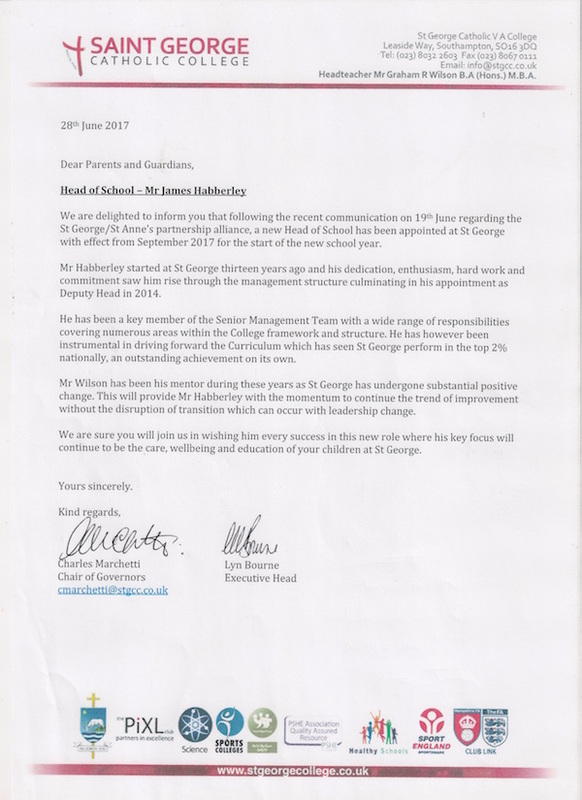 It is with great pleasure we write this introductory letter to you as the new leaders of Saint George. We have had a really positive start to the new College year with another record breaking set of GCSE results, the best ever for the college at 76% 4-9 (A*-C) in Maths & English and on the new measure of 51% 5-9 (A*-B). An indication of the positive impact we have on our students is the stunning predicted Progress 8 score of +0.3 which in essence means on average every child did better by a third of a grade than they should have done in eight of their subjects. The last three years have seen our results improve year on year and we continue to rank amongst the best schools nationally for progress and attainment as one of the top two performing schools in Southampton. 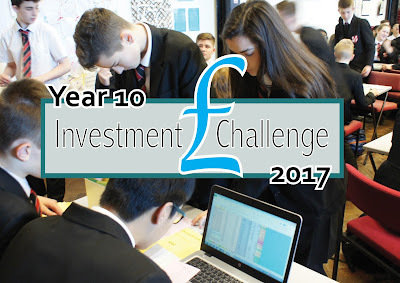 We would like to thank all our students, staff, parents and governors for all the hard work they put into realising this achievement against increasingly challenging criteria being set by the government each year. Our challenge for the year ahead is to keep this positive momentum going. This outstanding achievement is only part of our success story. The College is now oversubscribed in a number of year groups and we start the year with 800 students on roll, mixed in every year group. Two new classrooms for Geography and Languages have been built to accommodate the expansion of the College. The next phase of development will be the long awaited new Science and Technology block. We are now in the final stages of the design phase with building works due to start in January 2018. The College has a spring in it its step as it continues to move forward from the two “Outstanding” judgements achieved in the Local Authority inspection last year and the recent Diocesan inspection in the summer term. We have a great deal to celebrate and we are determined to continue to build on this success; a message we have given to all of our students in their first assemblies of the new school year. We look forward to working together to encourage our students to strive to make the most of every opportunity and achieve the very best standard possible. Please can we ask that you help by making sure that the students have their planners signed weekly, and that the whole school agreements are also signed on page 14 & 15. The planner has information about the topic students are studying in each lesson so that hopefully you can keep up with their lessons and have conversations at home about their learning journey. Thanks in anticipation for your help with this initiative. Hopefully your child will have informed you about our forthcoming Open Evening at the College on Thursday 5th October 2017. As usual the College will close at 12.20 pm to prepare for the evening. A large number of students will be asked to stay through to the evening to help with the event. The bus companies have been informed of the changes and will be available at 12.20 pm. Finally, we would like to thank you and our students for their excellent start to the term. The uniform is the best that we can remember, the attitude and atmosphere around the College is terrific, making it a real pleasure to be part of the Saint George Catholic College Community. Best wishes for another successful year! Our GCSE results this August are well above predicted levels and place us among the highest achieving secondary schools in Hampshire. With 76% gaining 4-9 and 51% 5-9 in English and Maths, the results are our best ever and our provisional progress of +0.32 is predicted to place us in the top 5% of schools nationally. 84% of pupils achieved a grade 4 or above in Maths and 80% in English.